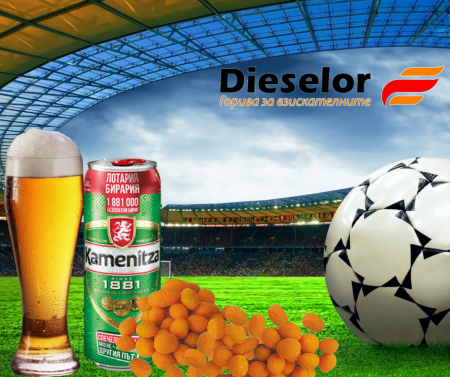 It's time to dive into the exciting football games from the World Football Championship as the tradition requires - with a cold beer and piles of peanuts. Only now take Kamenitza can 0.5 l + Beer peanuts at a promo price for only 1.99 lv! Period of the promotion: from 14.06.2018 until 15.07.2018.